Manchester United news website. 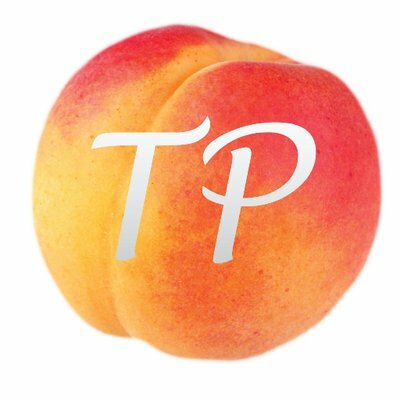 This page produces high quality articles written by fans of the biggest club in the world, Manchester United. The sacking of Jose and eventual appointment of Ole Gunner has brought back a spark of hope at Manchester United. It is now mathematically possible that we can secure a 3rd place finish. The joy, the passion and the smiles are back at Old Trafford. The players are playing well, the fans are happy and the coaching staff is performing. However, this shouldn't divert us from the major issue. In August, there was general concern about lack of activity from the board. I am afraid, this will jeopardise our season's ambitions. From the performance under Jose and even under Ole Gunner, it is very obvious we need a center back. A person like Rojo is almost permanently injured. Bailly, Jones and Smalling are in and out of injury. Lindelof looks our most reliable option but being over worked can cause him fatigue. I would appreciate that Woodward brings in a good center back, even on loan. Well, the argument may be that we need a Director of Football first before any purchases are made. I fully agree with this and I would imagine Woodward could employ a great director of football soonest. There are a couple of games coming up next and I wouldn't want us to regret not buying a player in this transfer window. Now that's just one side of the trouble. The other side of the coin is the increasing failure to agree to deals with out current players. We have a couple of players whose contracts expire at the end of the season although some have an option to extend. Right now, it would be very heart breaking if we lose a player simply because they failed to agree personal terms. I would like Ed Woodward to fasten the talks with De Gea, Anthony Martial, Ander Herrera, Juan Mata at least. These are players who have proven to be an integral part to our success this season. We cannot afford to lose them. Therefore in conclusion, if signings are not made and our good players don't extend their contracts, this will clearly indicate that the board isn't fully interested in backing the manager and are showing massive disrespect to the club and its fans. The same defensive mistakes that have hurt United time and time again this season came back to haunt them again on Tuesday night as Barca pounced, and all but ended the tie in the first half. Despite a promising start and a couple of half chances for Marcus Rashford and Scott McTominay early on, the gulf in class was exposed moments later as Lionel Messi converted the first half chance that fell at his feet. An unnecessary loss of possession deep inside United’s half by Ashley Young gifted the Argentine the ball on the edge of the box, and you just knew what was coming next. Messi controlled the ball, shook off a desperate tackle from Young, before gliding past Fred and unloading his signature left foot strike into David De Gea’s bottom right corner. 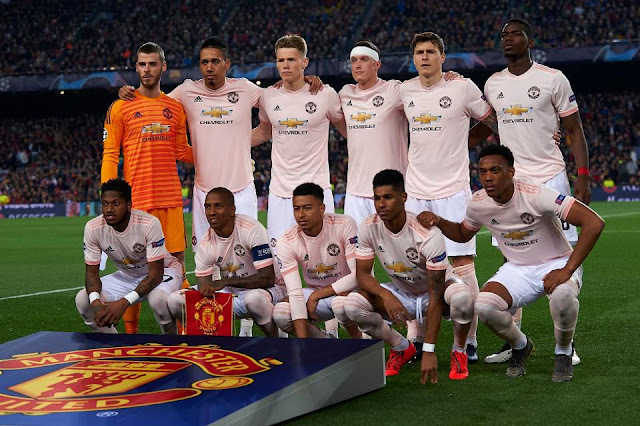 On April 16th, Manchester United will travel to the Nou Camp in Barcelona to try and beat the Spanish giants in their own home to advance to the Champions League semi-finals. Already being down 1-0, it will be a difficult task but as our newly-appointed gaffer, Ole Gunnar Solskjaer, said, "Mountains are there to be climbed". United were the better team in the first leg, only giving up a sloppy goal in the beginning stages. Nevertheless, the players showed that they are more than capable of beating this Barcelona side, and I believe they can do it. 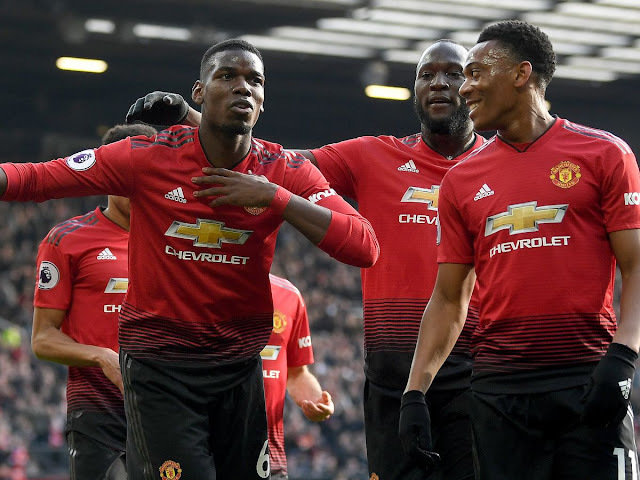 Winning this match will have to be a team effort by United, but there are four players who, if they perform Tuesday night, will make the victory that much easier to achieve. 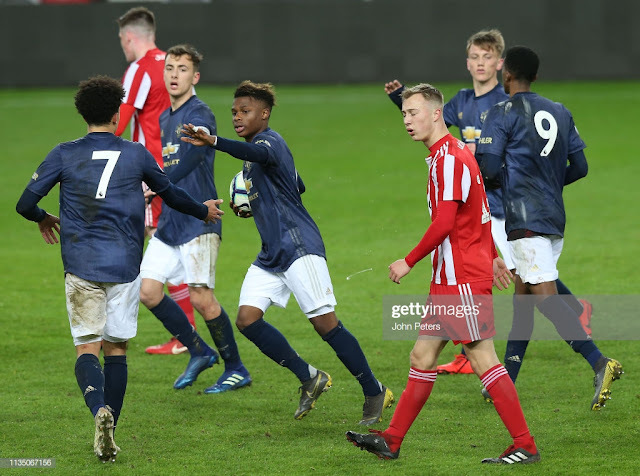 Manchester United u23’s had to settle for a hard-fought point on Friday night as they came back to draw 1-1 against Sunderland at the Stadium of Light, thanks to Largie Ramazini’s first goal at u23 level. It was a week that United’s academy staff would have been proud to see after regular options for Ricky Sbragia were not considered because of their involvement in Paris during the week. 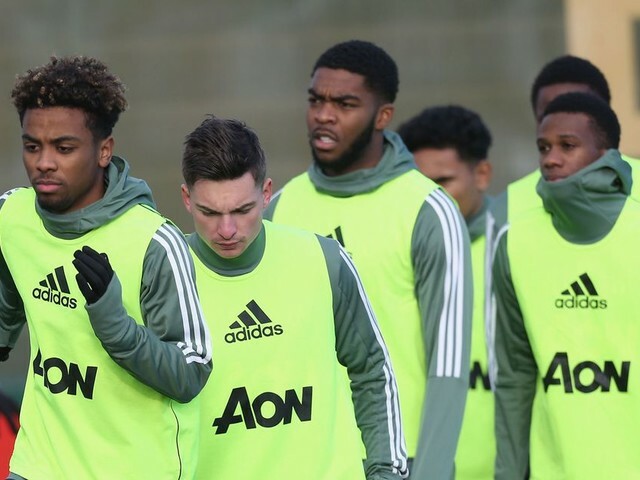 Brandon Williams, James Garner, Angel Gomes, Tahith Chong, and Mason Greenwood will all have benefited hugely from the experience in one the most memorable nights in the club's history of knockout football in Europe. This meant Sbragia had to rely on his midfield consisting of a trio from the under 18’s- Ethan Galbraith, Dylan Levitt, and Aliou Traore. Centre back Di’Shon Bernard and Ramazini were also selected. David De Gea - 6.5 A mixed day for Dave, he will be disappointed to not have saved West Ham’s equaliser, as well as giving the ball away on occasions prior to the goal. However he made some good stops, including a world class save to prevent The Hammers going 2-1 up. Diogo Dalot - 6.5 Back in his preferred position at right-back. He was getting forward at every opportunity and getting balls into the box. In the second half, he contributed to a nervy defensive effort from the team with some poor distribution and rash clearances. Phil Jones - 6.0 A typically brave performance from the Englishman but could not gain any control of United’s defence when required. Chris Smalling- 6.0 Like Jones, Smalling wasn’t able to organise a shaky United defence. However he was on hand to make some important interceptions. 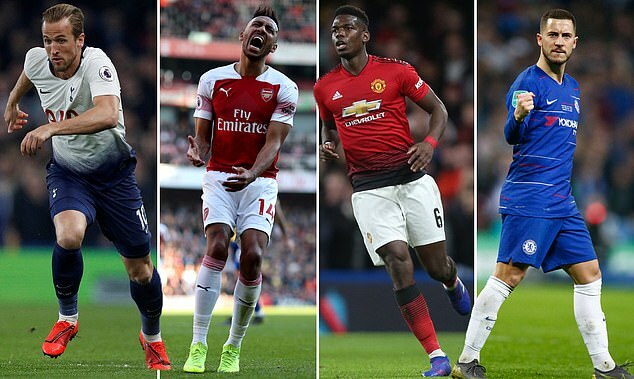 Is it Goodbye for These 6 United Players? As we all know, the season is coming to an end and the summer transfer window is getting that much closer. As Manchester United fans, this can only mean one thing: transfer rumours. 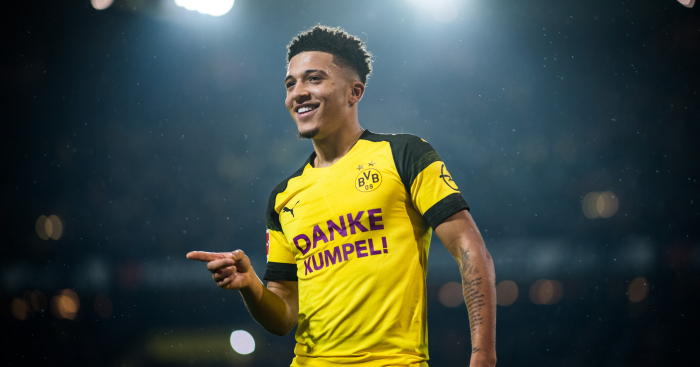 With a club as big as United is, whenever there is a transfer window approaching, everywhere you look you see some player's name linked with a "possible" transfer to United. Whether it be Gareth Bale (for the past two or three seasons) or Hirving Lozano, there is not a shortage of names when it comes to possible Manchester United transfers. David De Gea - 4.0 A very poor performance from the keeper, his error for the second goal seemed to set the tone for the disappointing performance from the whole team. David is one of the very few world class players United have and these are the games he needs to perform in and last night he wasn’t at the races. Ashley Young - 3.0 Another very abject display from Ashley, completely to blame for Barcelona's first goal as he in fact made four errors in the space of fifteen seconds in the build-up. He is simply not good enough for these games and only emphasised the need for new full backs in the summer. Phil Jones - 5.5 Did his best against an in-form Barcelona attack and Leo Messi in particular. 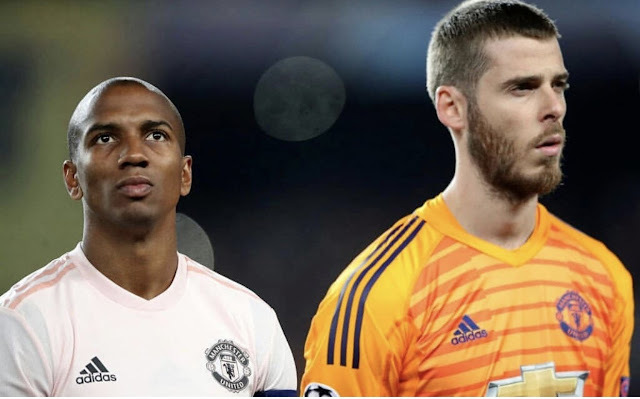 He showed courage to bring the ball out of defence at times but the brutal truth is, just like Young, he is not good enough to take United forward. Manchester United vs Burnley: What We Learned. Will Bailly be able to get back to his best? Solskjaer the lifeline for Timothy Fosu-Mensah? Who Wins The Race For Top 4? Fred: A Wildcard for United and the Premier League? We are currently looking for passionate writers who would be willing to write for our blog. Please email us at theuniteddevilsmufc@outlook.com if you would be interested.